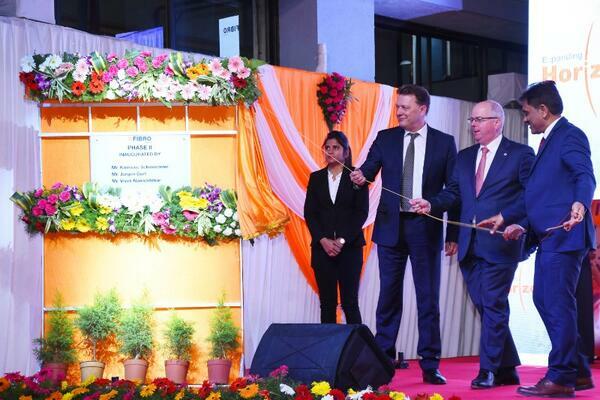 Pune, Maharashtra – FIBRO recently inaugurated its second phase of Indian operations near Pune at the hands of Klemens Schmeiderer, Speaker, Board of LÄPPLE group and Jürgen Gurt, Managing Director, FIBRO GmbH, the part of LÄPPLE group. Having tested the success for standard parts in India, the Rotary Table business was delegated to FIBRO India as well in 2015. FIBRO management has now decided to start specific Rotary Table product business followed by local manufacturing. As a result, FIBRO India has constructed a plant primarily for Rotary Tables which was inaugurated recently. The attraction of the event was launching of a Webshop to aid customers to shop for the company products. FIBRO India also launched its 100 percent ‘Made in India’ Rotary Table for Automation, FIBROTOR ER 13.